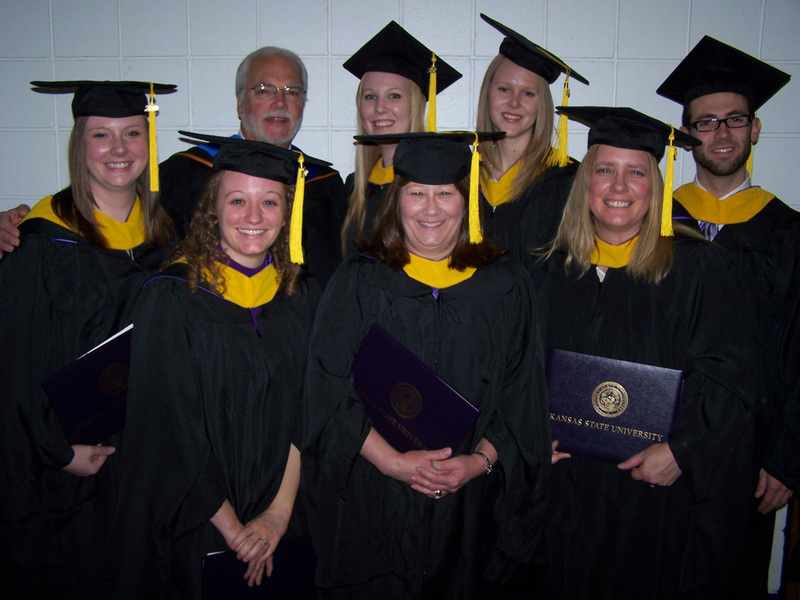 After earning Master’s degrees in Academic Advising through our distance learning program, seven students stepped foot on Kansas State University’s Manhattan campus for the very first time in December to attend the 2010 Fall Commencement Ceremonies. College of Education Dean Michael Holen, Department Head Ken Hughey, Professor Judy Hughey and other representatives of the college and university were on hand to honor the graduates at a brunch and the university-wide graduate ceremony on Friday, December 10, 2010 in Bramlage Coliseum. We send out a very special congratulations to Abbie Cieslek, Susan Ferguson, Julie Galliart, Sandra Griffin, Becky Lintner, Sarah Mazur and Craig McGill. It was wonderful to have a chance to meet you in person. Here at K-State we value our students and see the desire of distance students to attend commencement as a validation of the success of our programs. Thank you!